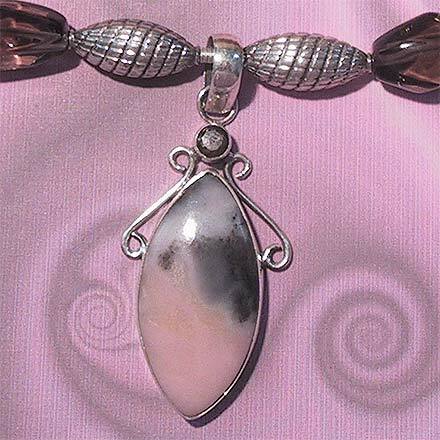 Sterling Silver Pink Peruvian Opal and Smokey Quartz Necklace. See Closeup. 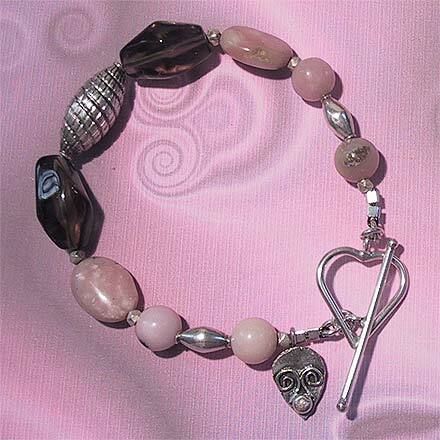 Sterling Silver Pink Peruvian Opal and Smokey Quartz Bracelet. 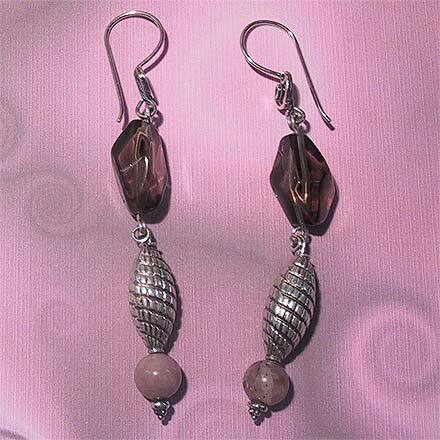 Sterling Silver Pink Peruvian Opal and Smokey Quartz Earrings. 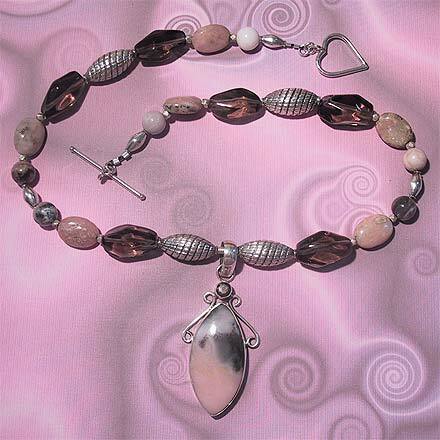 I just love the color of pink in these Peruvian Opal (common opal) beads and pendant. The necklace is 17¼" long with a 2¼" pendant. The matching bracelet is 7½".